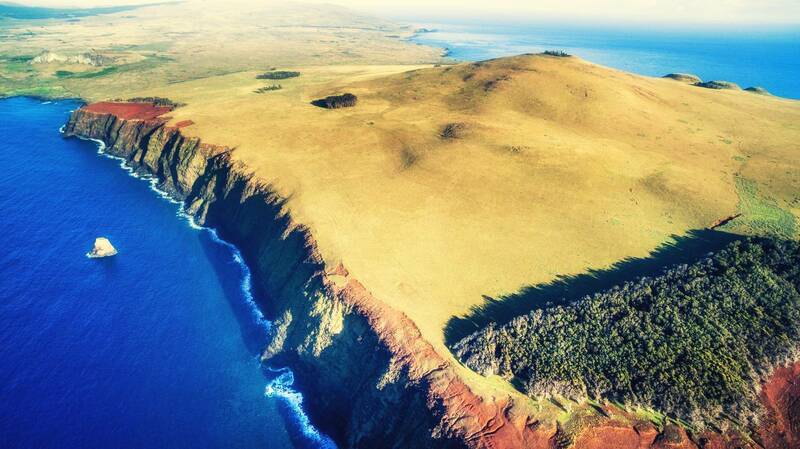 Throw on your hiking boots and spend the day exploring Easter Island's last frontier, the Poike peninsula. Closed to vehicles since 2005, this remarkable place truly is off the beaten track. Highlights on this hike include the panoramic view from the volcano summit of Pua Katiki, Vai a Heva (a water receptacle carved in the form of a huge face), and several small moai dotted around the peninsula. With its barren slopes, jutting cliffs, isolated ancient statues, and the interesting legends pertaining to this remote part of the island, an excusion to this fascinating place is a must for anyone wanting to dig deeper into the island's history. Ma'unga Parehe - Visit a small moai on the edge of a high bluff. Ahu Toremu Hiva - A small ahu a short distance from Ma'unga Parehe. Ana o Keke - A deep burial cave that is also said to be the "Cave of the White Virgins", where young women would spend time in the cave in purification rights to whiten their skin. Papa 'Ui Hetu'u & Ma'ea Matariki - Rocks used as stellar observatories in ancient times. 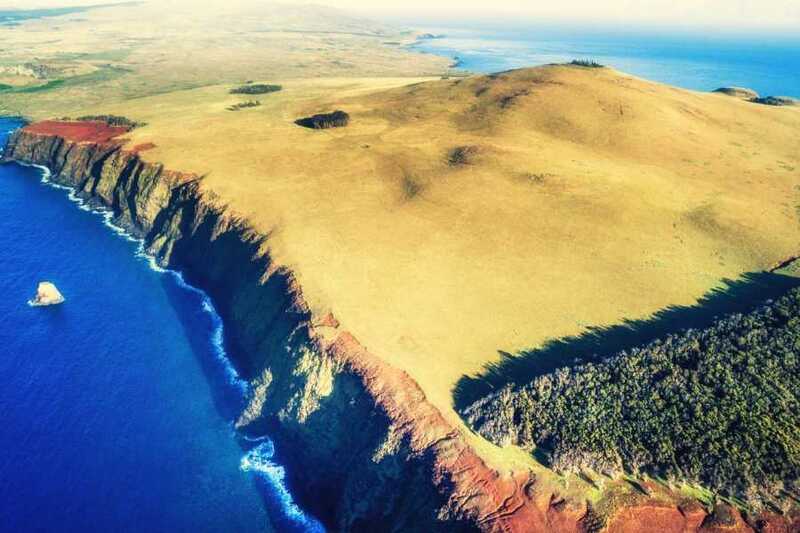 Kavakava Kio'e - The easternmost point of the Poike Peninsula, where the land drops 90m into the ocean and the rusty-coloured terrain looks like Mars. Ahu Rikiriki - A collection of about a dozen toppled trachyte moai, well-preserved due to the hardness of the material from which they were sculpted. Pua Katiki - The summit and crater of the Poike volcano, which contains a large grove of eucalyptus trees and a small campsite area. Trachyte Moai - One of the smallest recorded moai on the island. Vai a Heva - A large receptacle for catching rain water, carved in the form of a face. During the summer, this hike departs at 7:30AM to avoid walking during the hottest part of the day.